Q: What is AMERIgreen’s commitment to 100% American Fuels? 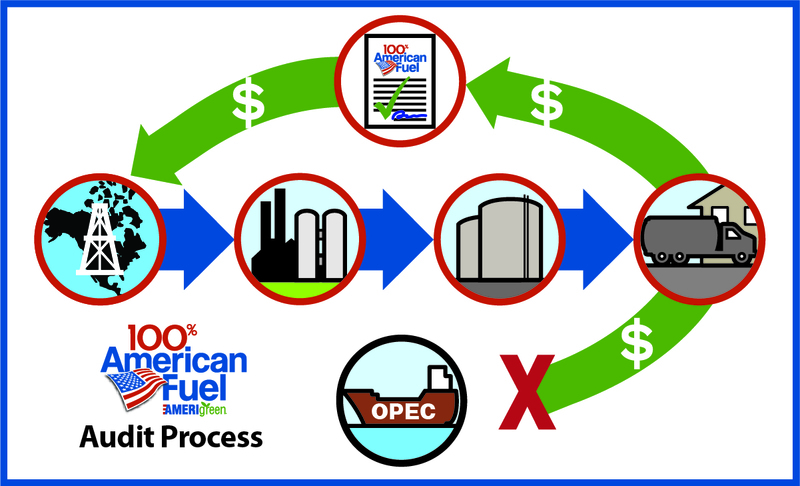 A: Prompted by the confluence of our current energy crisis and the call for energy independence, AMERIgreen is committed to our transition to 100% American Fuels refined from North American crude oil. Our customers can be assured that their dollars are not going to support unfriendly foreign nations. We are proud to have retail fuel distributors, like Apgar Oil, across the Mid-Atlantic region selling the product, and we hope many more will join the cause! Q: What is Apgar’s commitment to 100% American Fuels? A: Apgar Oil Energy & HVAC is proud to supply our Automatic Delivery customers with AMERIgreen’s 100% American Fuel. Our commitment is for our fuel dollars to support a reliable source of clean, green domestic energy and provide the best quality and most cost-effective products available for our customers. Q: How do you track the fuel to ensure it is 100% American Fuel? A: To manage the purchase of petroleum products refined from North American crude oil we employ a quarterly verification and audit process. This affirms that the consumer’s payment at the pump, or for home or business use, ultimately accrues to a pipeline or marketer providing petroleum refined from North American crude oil, and/or a company refining North American Crude oil. These pipeline and/or refinery volumes of North American petroleum must meet or exceed AMERIgreen’s contracted volumes to qualify. In the event that an audit process fails, AMERIgreen will notify customers of any shortage and when it is resolved. Q: What are the benefits of buying 100% American Fuel? A: A reliable source of clean, green domestic energy. Supporting the American economy, creating American jobs, and increasing American energy security. You have the choice to choose where your fuel comes from. Q: How did AMERIgreen become involved with 100% American Fuel? A: The co-owner of AMERIgreen, Seth Obetz, after hearing of a tragic injury that happened to a childhood friend who was in the military in Afghanistan. At the time, our co-owner said, ”I know a big part of the reason why we’re fighting over there is because we have to keep stability in the Middle East, because we rely on the oil for our economy.” After visiting his injured friend in the hospital he started contacting every major oil company to see if they would work him to guarantee fuel that was drilled, refined and sold in North America. See the full story, click here. Q: How many gallons of foreign oil have been displaced by AMERIgreen? Q: What is an Energy Patriot? A: An Energy Patriot is anyone who is a supporter of American energy freedom and takes action for our future. That might be by buying 100% American fuel to displace foreign fuel or conserving energy to reduce your energy consumption. Q: How can an interested consumer get involved and become an Energy Patriot? A: By purchasing 100% American Fuels from a company who supplies or produced America-made fuel for their vehicle or home; reducing energy consumption to conserve energy and save money; signing the Declaration of American Energy Independence; and by spreading the word about energy independence, alternative energy, and energy-saving tips. Learn more – click here. - How many gallons of oil will you use this year?